The units’ shell is of top quality steel plate sprayed by plastic, suitable for the outdoor environment with no need for the rain shell. 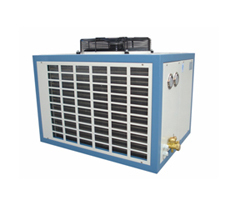 The unit can meet the requirement for -5℃~5℃,-15℃~-20℃, for hotel, restaurants, food, medicines, agricultural, chemicals industries etc. 2. Bitzer semi-hermetic compressor, less vibration, lower noise, and reliable performance. 3. 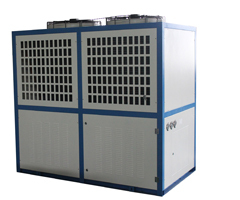 Heat exchanger of copper tube & aluminum fin, bigger windward with high heat exchange efficiency and long life span. 4. 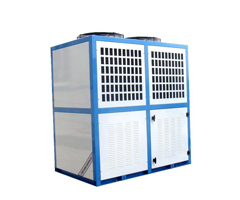 External rotor fan of good outlook and low noise. 6. Specification as the PDF file.